Many people want to own designer Dolce and Gabbana handbags. However, many Dolce and Gabbana handbags that one sees are knock-offs. 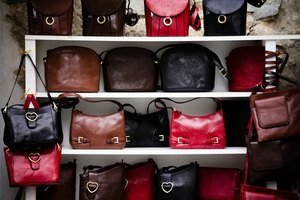 To identify authentic Dolce and Gabbana handbags, all one needs is a little knowledge. Inspect the build of the bag. It should not droop under its own weight. The weight of the bag should be proper for its size and the pockets should be neat and well sewn to the bag. Examine the threads and stitches of the Dolce and Gabbana bag. The stitches should be neat and clean and there should not be any loose threads. Study the insignia. The handbag is a knock-off if the insignia is incorrect or the font is fraudulent. The insignia of an authentic Dolce and Gabbana handbag is on the handles, zippers and on metal rings. If the insignia on a Dolce and Gabbana bag is missing or is coming off, then the handbag is a knock-off. Look at the handbag material. An authentic Dolce and Gabbana handbag is usually leather. 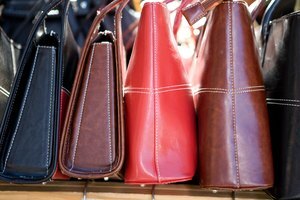 If the leather is extremely smooth or shiny, then the bag is a knock-off. Check for wrinkled handles and shoddy zippers. Be sure that the colors of the threads coordinate well with the color of the bag. Many knock-off Dolce and Gabbana handbags will only use a tan thread. Determine the authenticity of a bag by examining the logos. On an authentic bag, the logos will not overlap one another and are not blocked by the seams of the bag. Check the cost. 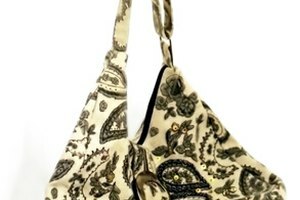 An authentic Dolce and Gabbana handbag will cost at least $500.